Is Your Business Making the Best Use of Your CRM? After selecting and implementing a CRM system, many businesses will just stop there, minimizing the potential their CRM system has to benefit them. Your CRM system should be your most important asset for your sales and marketing departments. It's absolutely necessary for the CRM to be kept up to date, just not with the data it holds, but also with how it is set up. Getting all of your users on board can be one of the most difficult parts. Although your CRM vendor might tell you how great the system is, many users will claim they don’t like the system because it's slow, unreliable or not user friendly. There may be other reasons behind it that they don't want to disclose such as not wanting management to know what they are (or aren’t!) doing, or owning “their” prospects. Because of this, it is necessary to make sure that users have as few objections as possible to using the CRM system, and making it easy to use is the first step. 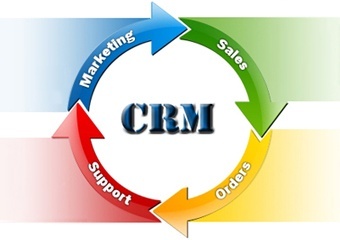 It is recommended to have senior management use the CRM and be seen using the CRM. If word gets out that upper management is too important to use the CRM, front line users will follow. Integrating your CRM system with other in-house systems such as accounting or ERP system such as Sage 300 ERP will save employees time, reduce the margin of error in data and help CRM adoption. Many CRM systems now offer an integration option to leading accounting systems as standard, have standard connectors to your webpage for capturing leads and can also be connected to other systems through built-in APIs (Application Program Interfaces). Equation Technologies is here to help you integrate Sage CRM with Sage 300 ERP. All of the data you have stored in your CRM system is extremely valuable to marketing, so it's important for your business to make the best use of it. Your business should be using the data that is stored in the CRM system to filter into marketing campaigns. Certain CRM systems will even allow you to automate and create email marketing campaigns without using any third party software. If you don't keep things simple with your CRM system you’ll risk losing users. Your employees will be most productive when they have a simple CRM system that does exactly what they need it to. Oftentimes a system with lots of bells and whistles and an endless amount of functions doesn’t always pan out well. A well implemented and consistently used CRM system can make a world of difference to your sales. Keep things simple, make the best use of your data and watch sales increase.